There has been an explosion of beautifully illustrated non fiction books onto the children's book market in recent years. They bridge the gap between story books and information books, encouraging all children to enjoy non fiction whether at home or in school. Here we have a selection of some of the most gorgeous spanning a wide range of topics. If any of the books you would like to purchase are sold out, please contact us so we can let you know when they are back in stock or order them especially for you. 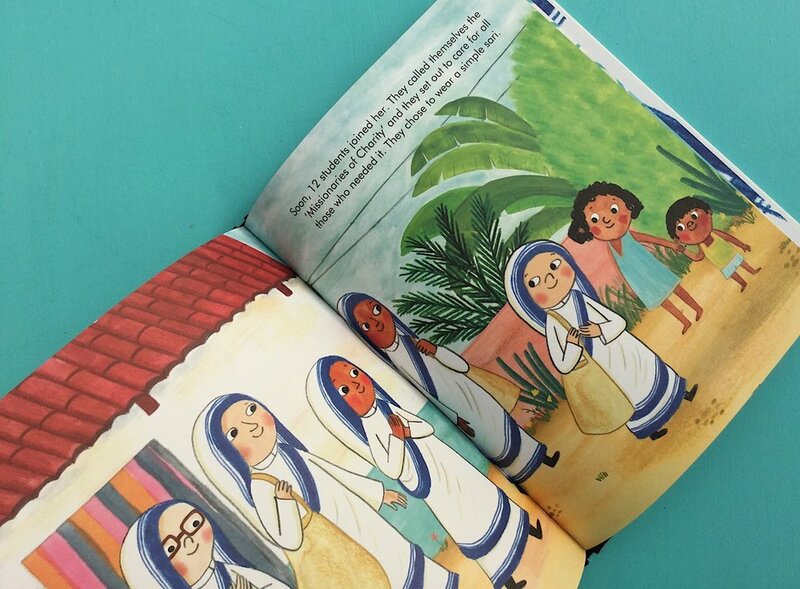 The popular Little People, Big Dreams series tells us the inspiring story of Mother Teresa, whose big heart and mission to care and help touched many people, and still does through her legacy. This biography beautifully illustrates, through pictures and words, how determined she was to make a difference to the poorest of the poor, and the result of that determination. A truly extraordinary lady. Join us for exclusive discounts and offers, book inspired learning resources and the latest product information. Thank you! We are so glad you have joined us at Pages of Joy. We hope you enjoy our Bookish Bulletin.